“I was not one of the [Nazi] leaders responsible, and as such do not see myself guilty,” Eichmann wrote in a petition to then-President Yitzhak Ben-Zvi • Document to be made public in a Jerusalem ceremony marking International Holocaust Remembrance Day. President Reuven Rivlin was scheduled to host a special gathering in his Jerusalem residence on Wednesday, marking International Holocaust Remembrance Day and the 55th anniversary of Nazi war criminal Adolf Eichmann’s trial. 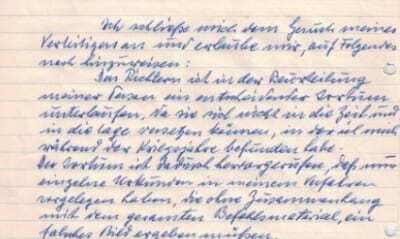 The president plans to make public previously unreleased documents connected to the trial, including Eichmann’s handwritten appeal for clemency. 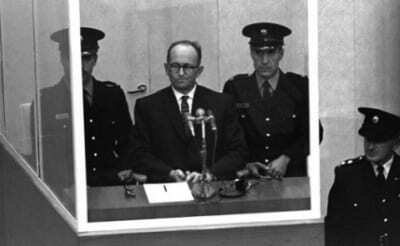 In his petition, Eichmann argued the Israeli court overstated the role he played in the Nazi extermination mechanism. “In assessing my personality the judges have made a crucial error, as they cannot place themselves in the times and situations in which I found myself during the war,” Eichmann wrote in the petition to then-President Yitzhak Ben-Zvi. Eichmann further claimed to have shown compassion during the war, writing that “having learned of the atrocities, the likes of which were unheard of … I immediately asked to be transferred. I abhor the atrocities carried out against the Jews as the gravest of crimes, and I believe it is right that their proponents should be prosecuted, now and in the future. “Here there is a need to draw a line between the leaders responsible and the people like me, forced to serve as mere instruments in the hands of the leaders. I was not one of the leaders responsible, and as such do not see myself guilty,” Eichmann wrote. The letter was signed and dated: “Adolf Eichmann Jerusalem, May 29, 1962” — two days prior to his execution. Wednesday’s ceremony at the President’s Residence will be one of several events marking International Holocaust Remembrance Day. The Israeli Embassy in Washington will hold a special ceremony in collaboration with the Yad Vashem Holocaust Museum, where two Polish citizens, Valeri and Marileta Zbigowski, and two Americans, Rudi Edmonds and Louis Ganden, will be posthumously honored as Righteous Among the Nations. This is the first time this ceremony is being held in the U.S. and President Barack Obama will be in attendance and make remarks. “It is a great privilege to recognize, on behalf of the Jewish state, the heroism of those to whom the Jewish people are most indebted,” Israeli Ambassador to the U.S. Ron Dermer said.